Lindsey Caroline Vonn is an American alpine ski racer with the U.S. Ski Team. She has won three consecutive overall World Cup and downhill championships (2008, 2009, 2010),the first American woman and third woman ever to accomplish this. Vonn won the gold medal in downhill at the 2010 Winter Olympics, the first ever in the event for an American woman. Vonn also won three consecutive World Cup season titles in Super G (the first American woman to do so), and two consecutive titles in the combined. 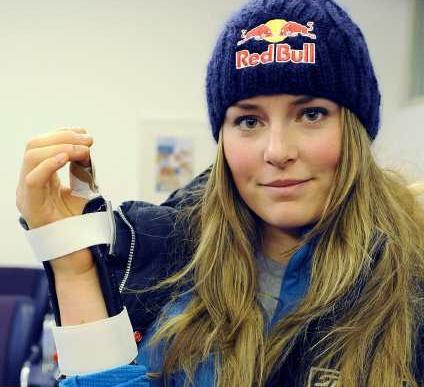 As of March 2011, she has 41 World Cup wins in four disciplines (downhill, Super G, slalom, and super combined). With her Olympic gold and bronze medals, two World Championship gold medals in 2009 (plus three silver medals in 2007 / 2011), and three overall World Cup titles, Vonn has become the most successful American skier in ski racing history.